Congratulations on four years of successful and beneficial activity. Thank you for keeping us up to date with the latest national and international academic news and events. Cooperation for Development greatly appreciates our partnership during past projects and looks forward to future collaborations with You. We wish that in the following years ARMACAD will continue to expand its network and develop its activities. Denis Haughey – another prominent Northern Irish politician, senior member of the Social Democratic and Labour Party (SDLP)’s negotiating team in the peace talks on Northern Ireland and a member of the drafting team which wrote all of the SDLP documents that laid the basis for the Belfast Peace Agreement. Clem McCartney – an international expert that has worked on conflict and peacebuilding issues since mid-1980s with particular focus on how to create the conditions for negotiations, dialogue processes and the problems of implementing peace agreements during the post-settlement phase. Takis Hadjidemetriou – a prominent political figure in Cyprus known for his support of the UN peace plan for Cyprus. Deputy Chairman of the House of Representatives of the Republic of Cyprus. Dr. Meltem Samani – a Board Member of the Association for Historical Dialogue and Research in Cyprus, researcher in the area of cultural and political history of Cyprus, a teacher trainer and a peace activist in Cyprus. During the series of round tables, international and Armenian experts will discuss the factors that have contributed to the breakthroughs in peace processes; the main challenges on the way to reaching an agreement and ways to address them; the role of civil society initiatives and the media in peacebuilding and other questions. The events are organised by the peacebuilding organisation International Alert, together with the Caucasus Institute in Yerevan. The initiative is funded by the European Union. What are the similarities and the differences between the Cyprus conflict and the Northern Ireland conflict? The theory and practice of conflict resolution: is each ethno-political conflict unique? Generation change in the societies of the conflicting parties and reassessment of values and goals: are these significant factors for peace? AEGEE-Yerevan is happy to announce that training on youth unemployment and employment issues will be held at the Picasso hall of the Congress hotel on the 28th of January. During the training CV & Motivation Letter techniques will be introduced. Participants will get basic knowledge how to pass successful interview with employers and will be informed about the different career, educational and voluntarism opportunities. The event will be attended by representatives from Career Orientation Center , German Academic Exchange Service (DAAD), International Research and Exchanges Board (IREX), Erasmus Mundus Programme and other organizations are invited to attend the day-long training. Within the framework of “Youth Unemployment” project similar activities are organized in Sofia, Tirana, Gdansk, Istanbul, YEREVAN, Moscow, Barcelona, Lublin, Tbilisi, Skopje, Riga, and Izmir. If you are interested you need to send your personal details along with motivation letter to events@aegeeyerevan.am. The agenda of the training and other details will be send only to selected participants. The deadline for sending application is January 25. AEGEE (Association des Etats Généraux des Etudiants de l’Europe / European Students’ Forum) is a student organisation that promotes co-operation, communication and integration amongst young people in Europe . As a non-governmental, politically independent and non-profit organization AEGEE is open to students and young professionals from all faculties and disciplines – today it counts 15.000 members, active in more than 240 university cities in 43 European countries, making it the biggest interdisciplinary student association in Europe . AEGEE was founded in 1985 in Paris , puts the idea of a unified Europe into practice. From 2010 on the AEGEE-Yerevan has obtained the right to officially operate in Yerevan . The main goal of AEGEE-Yerevan is to promote the communication between citizens of Armenia and Europe and boost the cooperation between the students in order to build a tolerant and open society. For more information please contact Gayane Grigoryan, the coordinator of the project by writing an e-mail to events@aegeeyerevan.am or by calling to (093) 95 35 70. 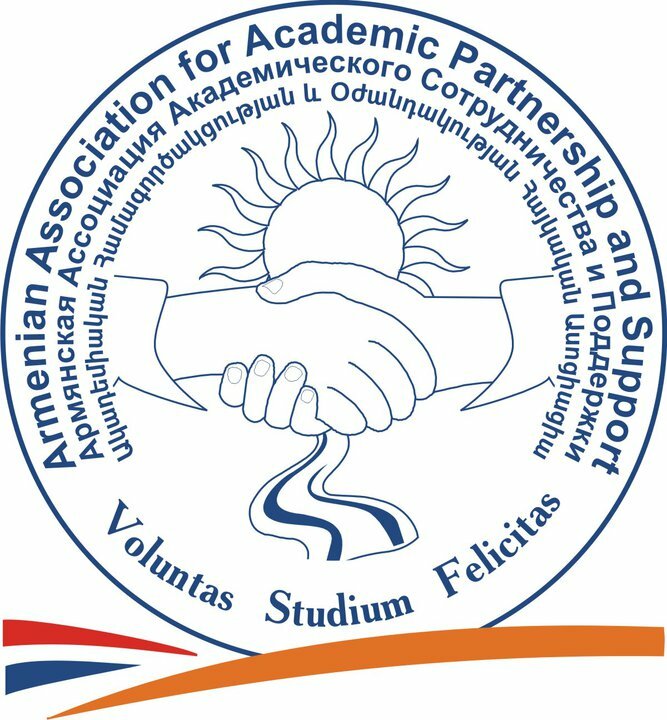 Attached you can find an announcement in Armenian as well as agenda of the training in English.